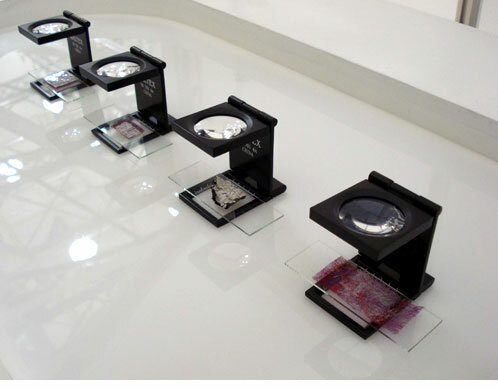 By employing elements of the presentation methods characteristic to displays and systems used in scientific environments, the viewer is invited to inspect these creative interpretations of the epidermis, arranged on an examination table, using magnifying glasses and juxtaposing the notions of the 'scientific' and the 'artistic', the 'truth' and 'abstraction'. 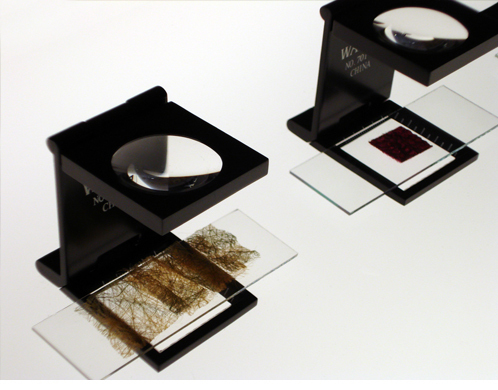 Membranes III were first showen at the 'Skin Stories II - Archaeology of Skin' solo exhibition at the Foreign Art Museum in Riga in 2006. 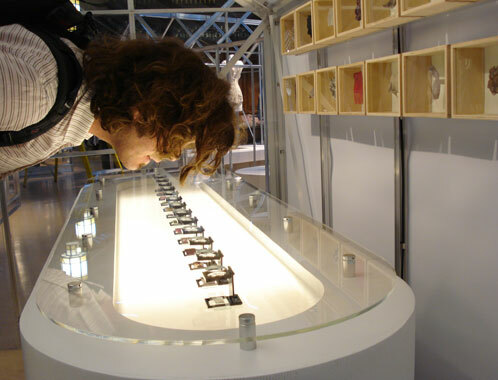 Later they were selected for the Dott 07 exhibition 'Our Cyborg Futures - Me or Machines?' 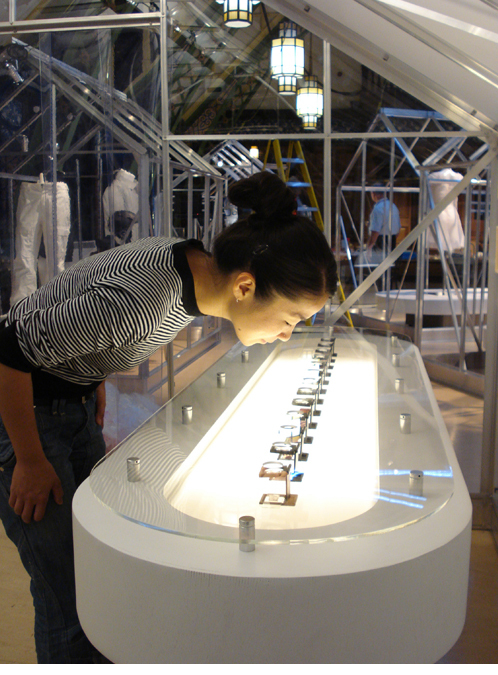 exhibition at the Discovery Museum, Newcastle upon Tyne, UK and 'Skin' exhibition at Welcome Trust Gallery in London in 2010.